Regularly on this blog I disclose flaws of our best engines. Sometimes to compare engines. At other moments to proof that some ideas discovered by humans, can still not be coded in an algorithm. Despite the flaws few will doubt about the usefulness of the engines. Even my team-captain Robert surprised me a few days ago by including some engine-evaluations in his report which a few years earlier was simply unthinkable. We can't deny the fact that the engines have surpassed us largely in strength. Only some time ago Carlsen stated in an interview: "I can't beat the best computers". Quality Chess recently published a nice example of how big the difference in strength is today between human and computer. The writer asked a + 2650 player how many big mistakes (direct wins or an important tactical sequence) he made in 24 games (some opponents had only 2200 elo). An engine could quickly find 10 mistakes despite the moderate opposition. As 2300 player I obviously make many more of those big mistakes. Some of those are surely avoidable but I believe there are also mistakes which can'be prevented via an optimal time-consumption or tactical trainings. In round 6 of Open Gent I and my opponent missed a beautiful tactic. It was the only flaw in otherwise a pretty smooth victory. Just before going to bed after the play-day I discovered it with an engine. I can't resist the temptation to check immediately just finished games with an engine despite the late hour, often after midnight. Some players surely won't agree with such attitude as they find it bad for the night's rest. 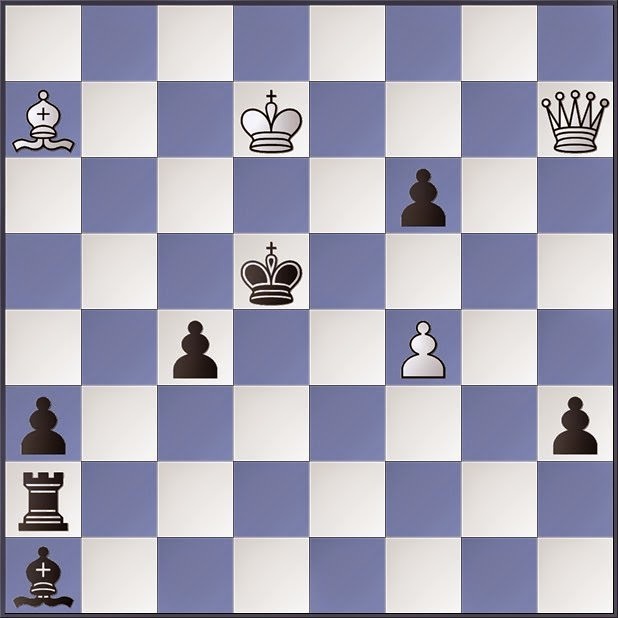 A fantastic move which initially the engines evaluate as equal for black but when giving more time they anyway find a big advantage for white in the complications. The piece-sacrifice creates an interference between queen and bishop. Such type of interferences are really rare in practice but it is well-known in the world of chess-compositions. There exists a bunch of themes on (Holzhausen) interferences. In the next paragraphs I will explain in a nutshell the different possibilities as this is an interesting and beautiful little niche of chess. The Grimshaw was already covered in my article chess-compositions as it was multiple times used in my problem Loyds organ pipes. A Grimshaw is a mutual interference of 2 pieces. The simple example below demonstrates this theme. When the mutual interferences of the 2 pieces happen due to a piece-sacrifice then we call it a Novotny. In problem-chess this is rather ordinary so it is in most cases included in a bigger concept. I selected a rare example from board-practice which explains in its simplicity well the idea. If the Novotny is created by pieces moving in the same direction (diagonal or vertical) then we call it a Plachutta. A simple but clear example from the American top-composer William Anthony Shinkman can be found below. My game-fragment is not a Plachutta despite there was a piece-sacrifice and the queen + rook move rectilinear. There is only 1 interference instead of 2. The queen can't take the knight because the queen will be captured and not because the rook will be interfered. Finally when we have a Plachutta on one and the same line then we talk about an Anti-Bristol. This last one is the most complex theme and it is much harder to find a good self-explaining example. The theme Anti-Bristol originates from the Bristol-clearance which I already covered in my article problem-moves. So many different types of interferences exist. You don't need to know this to play chess well but I do find it entertaining. Aren't we playing chess first and foremost to enjoy, right? 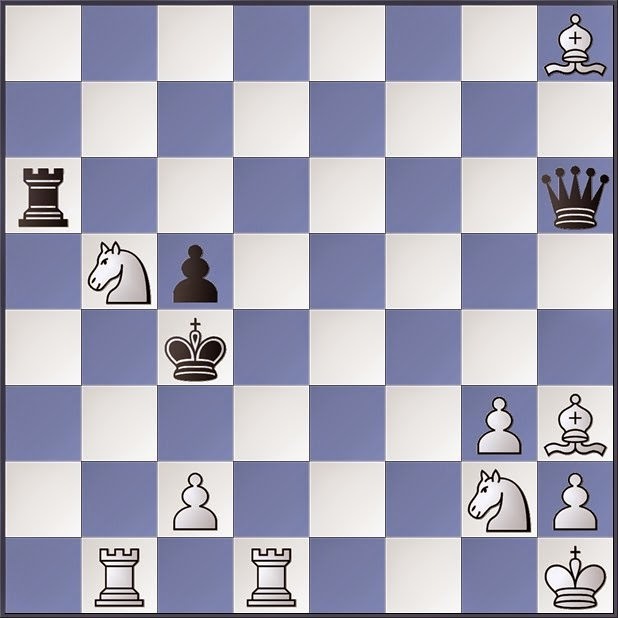 1...., Bb2 2.Qh1# The bishop interferes the rook. 1...., Rb2 2.Qf5# The rook interferes the bishop. 1...., Bxd5 2.Rg8+ Bxg8 3.Ra8# The bishop interfered the queen. 1...., Qxd5 2.Ra8+ Qxa8 3.Rg8# The queen interfered the bishop. 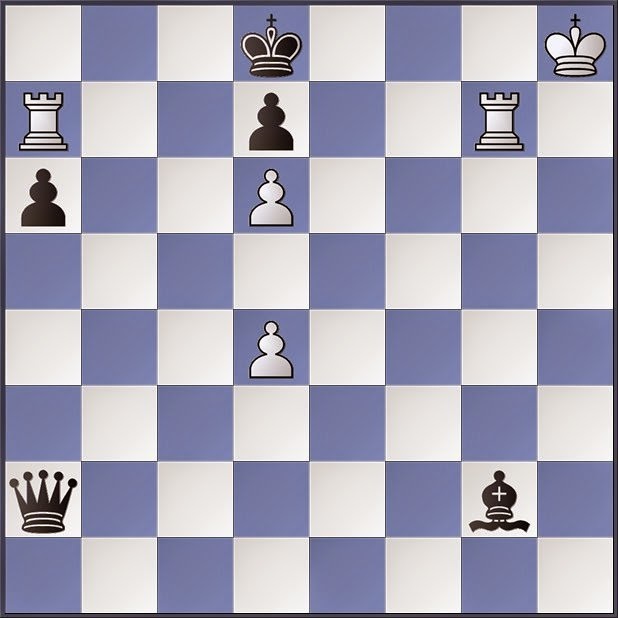 1...., Qc6 2.Pd6+ Qxd6 3.Ne3# The queen interfered the rook. 1...., Rf6 2.Be6+ Rxe6 3.Na3# The rook interfered the queen.